Since the beginning of missionary efforts in Japan in the sixteenth century, the Japanese church has experienced periods of quiet flourishing and periods of intense persecution. Arguably, however, it has never managed to take root as a truly indigenous church-despite great effort toward that aim. In Multiplying Churches in Japanese Soil, John Mehn asks the question: Why? What factors have contributed to the Japanese remaining largely unreached? Mehn examines the current state of affairs and then, with some careful analysis and case study, delves into effective models and leadership for planting churches in Japan that not only grow, but are also equipped to reproduce and multiply. Within these pages, discover mission strategy, kingdom perspective, and hope for the church in Japanese soil. John Mehn and his wife Elaine have served as Converge (formerly Baptist General Conference) missionaries in Japan since 1985. John’s primary ministry is cross-cultural church planting, leadership developm ent, equipping for church planting, and spiritual renewal mentoring. Since 1997, John has been the chair of the JEMA Church Planting Institute, an interdenominational network among Japanese and missionaries for developing leadership for church planting movements. 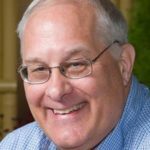 John has a doctorate of ministry in missiology from Trinity International University. John is a member of the American Society of Missiology, the Evangelical Missiological Society, and the Japan Missiological Society. Currently he lives in Machida City Tokyo Japan. We will honestly take a hard look at the condition of the church in Japan while at the same time seeking new and fresh vision from God. Principles and practical guidance will be presented from ground-breaking field research. This book grows out of actual training courses and materials used in practical church planting training. Though not a church planter’s manual, this will give guidance to church planters and strategists on ministry models and leadership roles and style. Through many case studies and best practices, those burdened for church multiplication on Japanese soil will gain new hope. This book is not about theoretical visions and dreams but about visions and dreams concretely realized. It is a new call to prayer and a call to use God’s spiritual resources to face the challenges of Japanese culture with a new vigor towards an unprecedented wave in the number of churches. Fresh insights and ideas for innovative ministry will be presented that will stimulate readers’ thinking in new avenues and incite exploration of different paradigms. Chapter One: Gospel Penetration in Japanese Soil. An external look at the progress of the Gospel in Japan. What are the main reasons for the lack of response? Chapter Two: The Church in Japanese Soil. An internal look at the state of the church in Japan. What is the health and relevance of the Japanese church? Chapter Three: Japanese Religious Movements. What were some growing church movements? And what lessons can be learned from some Japanese social and religious movements? Chapter Four: Strategic Perspectives on Church Planting. For the establishment of churches and movements in Japan what strategic principles were applied in history? What are some current trends? Chapter Five: Effective Models of Reproducing Churches in Japan. What church models are effectively reproducing churches? How can we apply principles from these models for more effectiveness? Chapter Six: Leaders Reproducing Churches. What can Japanese leaders who are effectively reproducing churches teach us about leadership? Chapter Seven: Future Challenges for Multiplying New Churches. 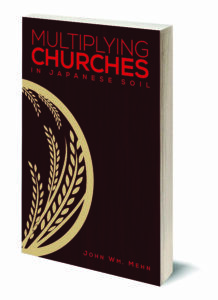 What should be done to assure church multiplication in Japanese soil? This book will soon be published in Japanese.